Yes, It’s mid-February, but it’s still a new year. I hope your 2018 is moving along with amazing success! Speaking of success, how are you coming with those New Year’s resolutions? If you are like most people, they have been long forgotten or even worse, a source of shame and regret. 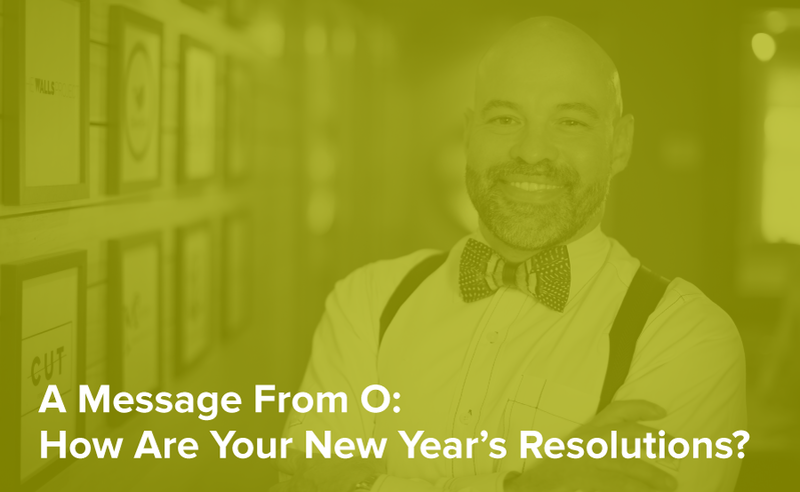 There are a lot of ideas on how to make your resolve on your resolutions more successful. For me, I quit writing resolutions years ago. Instead, I began setting intentions. An intention is the starting point of every dream. It is the creative power that fulfills all of our needs, whether for money, relationships, success, fulfillment, spiritual awakening, or love. Setting intentions becomes more of an ongoing process that continuously expands and grow as I do as compared to a resolution that feels more like fail / succeed. As a business owner, each success I can experience, helps increase my overall positive momentum which then allows me the opportunity to be of greater value and service to myself, my family, my staff, my clients and my community. And trust me, some days, a small nudge of positive goes a long, long way. What are some of the ways in which you find success with your resolutions and intentions? What are some practices that you use? Please share them with me on social media and tag me.